10m HDMI Cable Pure OFC High Speed with Ethernet. 4k ready, suports HDMI 1.4 and HDMI 2.0 equipment functions. 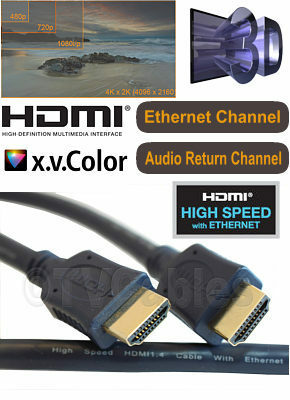 HDMI high speed with ethernet cables are currently the best hdmi cables available, they support HDMI 1.4 and HDMI 2.0 equipment functions keeping backward compatibility with previous HDMI versions by using the same type A connectors.